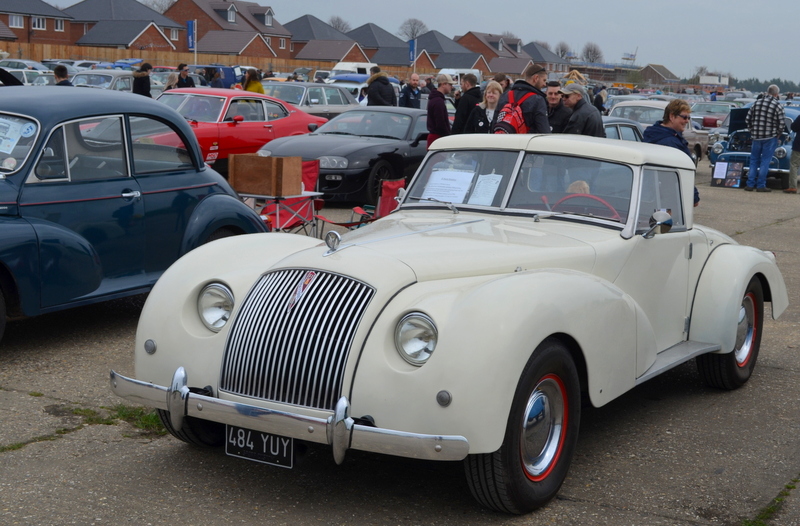 The superb aircraft museum at Tangmere played host to Southern Classics first show of the season and as with many spring time events the weather did its best to upset the ‘show-goers’. 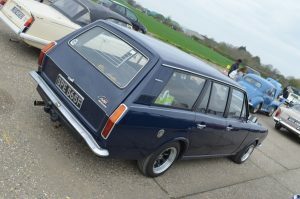 Hundreds of enthusiasts arrived for the ten o’clock start and lines of auto-jumblers offered the show something extra. 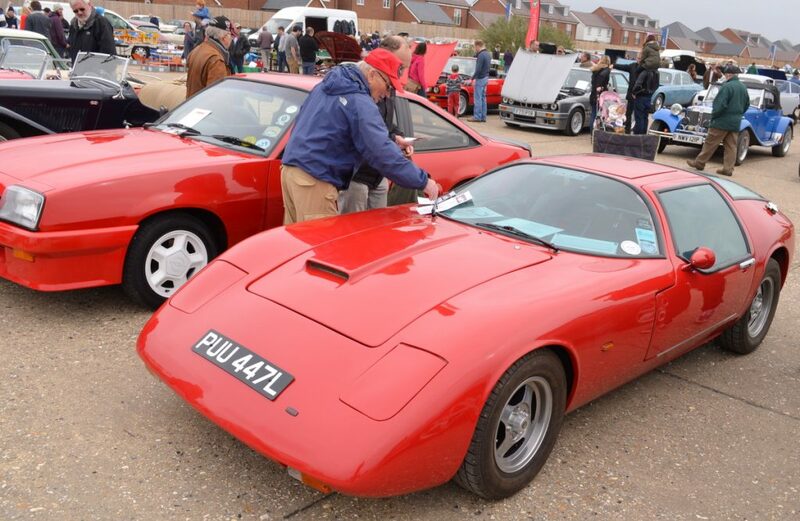 To quote from the Southern Classics website…’The club evolved from a small group of Southern Water plc employees and was formed during the early part of 1991 when it was realised that there were a number of staff and their friends who had a variety of interesting classic vehicles. 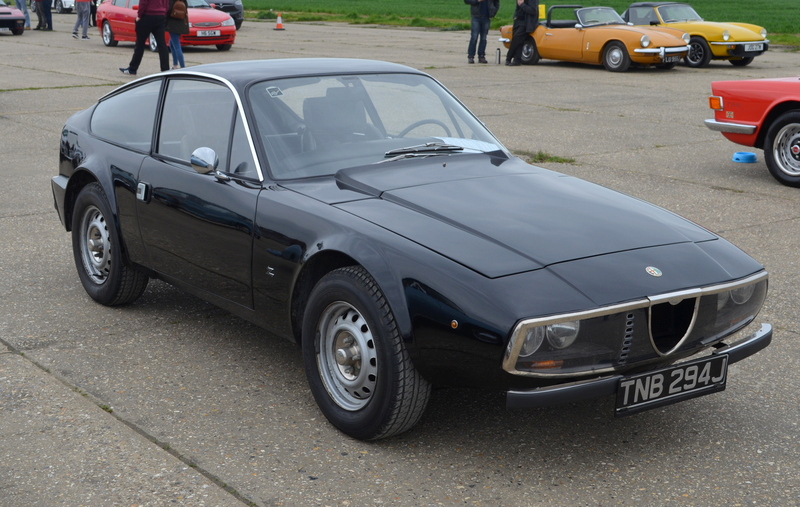 ‘Southern Classics” was thus formed with a view to arranging periodic meetings to generate an active interest in promoting motoring nostalgia’. What’s great about this club is everyone is welcome and membership offers free entry to shows, but should you prefer ‘freelance’ then a £5.00 entry seems perfectly reasonable. Well organised and plenty to see and purchase is the norm for this club and they offer a variety of events throughout the year. Cars that caught my eye today included a Piper Phase Two, a custom bodied 55 Buick Roadster, a Capri Dragster and a dead looking Deux Chevaux. 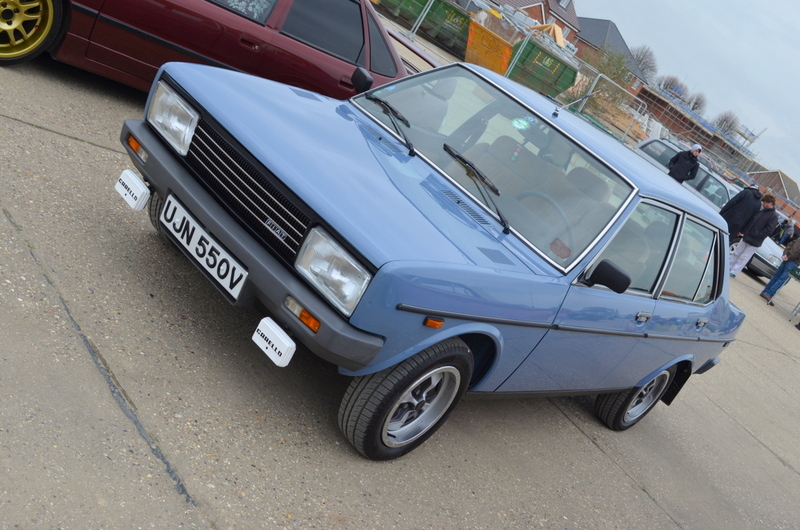 There was the simplicity of a Cortina Estate and the Italian Flair of an Alfa Junior Zagato but from Italy the Super Mirafiori of Fiat or the French van from Citroen called the Acadiane. Americana alongside the ‘Allegro boys’ and finally the total refined class of a Humber Imperial…what else could you want from a Sunday morning but before anymore classics could be admire the rain came in…Southern Classics a great club and they have more dates for summer 2018. Sunday 13th Show - Classic Vehicle Show - Bluebell Railway at Horsted Keynes. 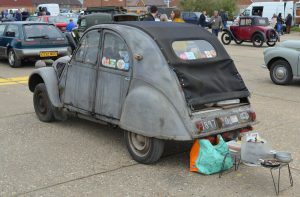 Sunday 10th Show - Bentley Wildfowl & Motor Museum, Halland, East Sussex, BN8 5AF. Sunday 24th Social - Breakfast Meeting at South Downs Heritage Centre, BN6 9LY. Sunday 8th Breakfast Meet - Whiteways Cafè, Arundel. Sunday 22nd SCS Charity Show - Borde Hill Gardens, Haywards Heath. 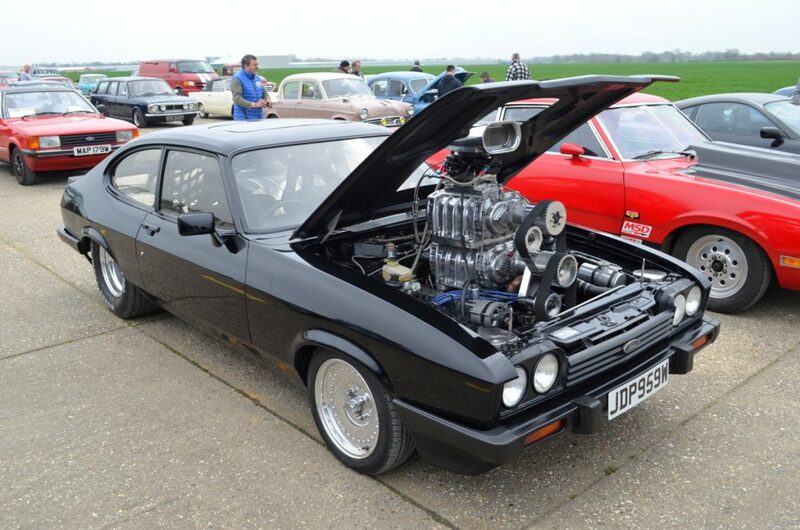 Saturday 6th Drive It Day to Brooklands Museum.